In the dial-up ’90s, American fans who wanted to own Blur’s intermittently fantastic B-sides had a couple of options: Pay import prices, or freak out your parents by giving your home address to complete strangers and asking them to compile the songs for you on a tape. The Britpop legends have since compiled and recompiled their hits many times, but it still isn’t easy to find their obscurities all in one place (at least not legitimately). Now, as the reunited band heads into a Hyde Park show this summer that frontman Damon Albarn says will most likely be the group’s last, the vaults are opening up. On July 30, Blur will mark the 21st anniversary of its debut album with expanded reissues of each of its seven studio albums, the band has announced. The reissues will all come with bonus discs that include B-sides, fan club singles, and previously unreleased material. From 1991’s Leisure to 2003’s Think Tank, the albums will also receive vinyl reissues, though these won’t include the extra disc; what’s more, all seven vinyl reissues will be available as a single box set of their own. On top of all of that, Blur will also be offering Blur 21: The Box, a 21-disc box set that compiles all of the new expanded-edition reissues of the albums, four exclusive discs of rarities (including three-and-a-half hours of previously unreleased material), and three DVDs (featuring two “pivotal” live shows and more than two hours of previously unreleased footage). 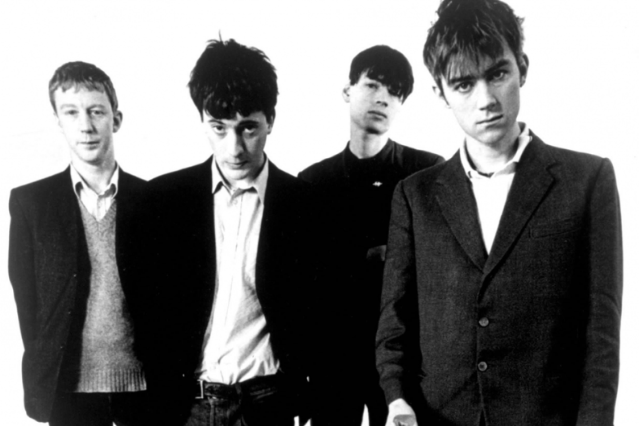 The 21 box also includes a 7″ single that features a previously unreleased live record of Blur song “Superman,” which dates to the band’s early days under the name Seymour. Finally, the box comes with a hard-bound book detailing Blur’s career. Some things never change: As Gorillaz-Unofficial (via Consequence of Sound) points out, the 21-disc set carries an Amazon.co.uk price tag of £157.99, or more than $250. So it might be more economical to listen to Albarn and fellow Blur member Graham Coxon’s new solo albums side by side and imagine you’re listening to long-lost rarities. Good thing we still have those tapes.